Home › Energy-Efficient LED Lighting › Sendida Led Light Color Changing - 12W Led Rgb Bulb Dimmable With Wireless Re..
Sendida Led Light Color Changing - 12W Led Rgb Bulb Dimmable With Wireless Re..
For colorful fun or for simple white lighting, this LED RGB light bulb does everything! Using the remote control, you can set it to a wide range of colors (including white), and brightness levels. Bright or dim, pure white or any color of the rainbow, you choose! Select one of the preset colors and brightness levels, or create a new color and brightness all your own. Your new favorite color can even be saved as a new preset. Long-range remote control. Using 2.4 GHz technology, the remote control has a range of 60 feet and works through walls. 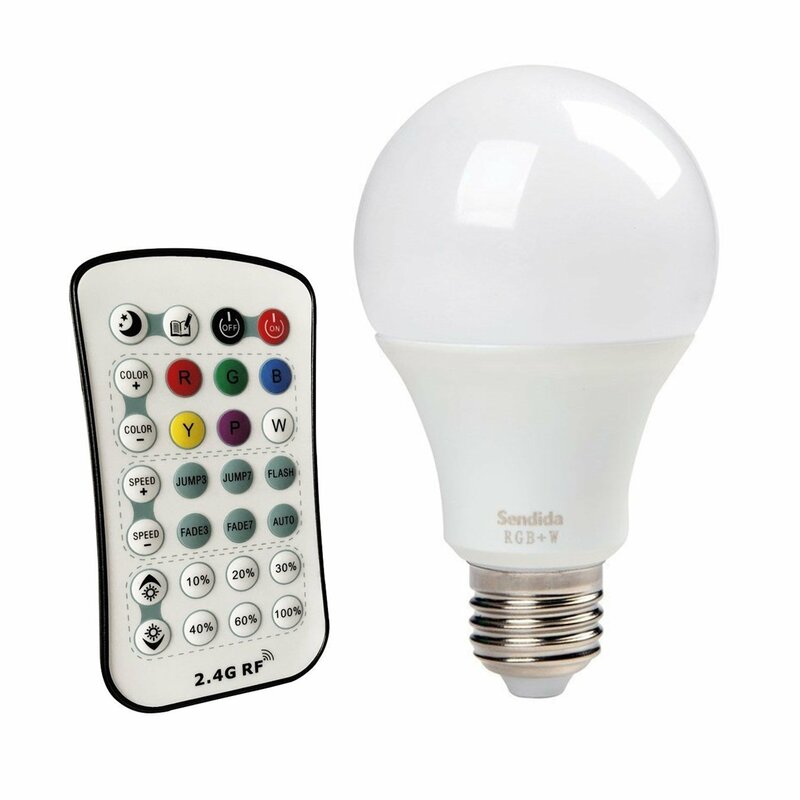 You can even use one remote to control multiple Sendida LED bulbs. Turn on a whole set of different auto-color-changing modes to get your party started! Flash, Jump, or Fade between different colors at your selected speed, or choose "Auto" for a wild random mix of everything! Comes with a 100% 1-year money back guarantee. Please Notice: You must remove the tiny plastic tab in the remote which separated the battery during shipping.